Trying to catch that Golden State Warriors game? Or maybe the San Francisco 49ers? The Dodgers making another run? In California, we care about our sports, so we’ve cultivated the ultimate spaces to watch the big game in our top-notch sports bars. From dive-style bars patrons have been returning to for decades, to high-end modern spaces that specialize in craft beer and gourmet grub, here are some of the best sports bars in the state. T. Boyle’s Tavern is kind of like a hidden gem that everyone knows about. Just off of Colorado Boulevard, T. Boyle’s Tavern has cold beers and the kind of special events that only a sports bar can offer. Blue Dog Beer Tavern has a log cabin aesthetic that pairs well with sports bar basics like burgers and pub grub and beers. Head over for the happy hour that attracts the regulars for a great deal. SacTown Sports Bar & Grill in Old Sacramento is like an upscale dive bar. You’ll find all the usual games and flat screens but less of the grit and grime that can accumulate over the years. Head to The Cave for happy hour, which offers some serious deals on booze and beers. There’s nothing fancy, just a lot of sports fans getting their drink on. C & J’s Sports Bar is proud to support all major teams hailing from the Bay Area and offers DirecTV packages to enjoy the games. Karaoke nights, beers galore and table games round out the place. O’Connell’s is an OC local favorite. The Irish theme is prevalent but the bar promises a friendly atmosphere that allows you to focus on your team without unruly college kids ruining the vibe. 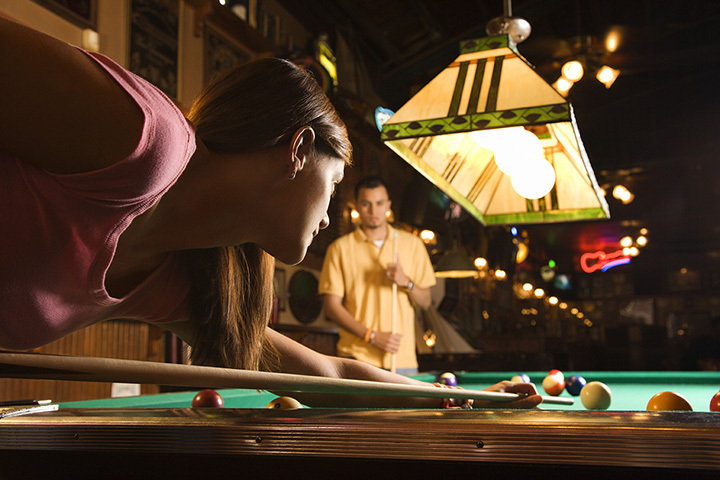 With over 30 beers on tap, plenty of big screen TVs, trivia nights and other sports bar essentials, Sports Page in Mountain View does sports bars proud. Check it out when Sports Page holds an event or head to the patio for some sun and sports. Two different locations and all the sports channels you can imagine make Rookies a prime spot to enjoy a game. Rookies even has the space for private events so that you can have a party to celebrate your favorite team or special occasion and plenty of beer and food to go with it all. There are several locations of Barney’s Beanery on both the East and West sides of the city. Generations of Angelenos have been chugging down beers and watching sports, playing games and enjoying chili-covered everything.